10 Blocks: This is the first in an occasional series examining what makes Bloorcourt tick, and how an inventive digital documentary about the neighbourhood is taking shape. Friends since the fourth grade, our filmmaking collaborations began with high-school assignments and we’ve been at it ever since, with projects as far afield as India, Latin America and Portugal. Growing up in Calgary with immigrant parents, we had always shared an interest in issues surrounding immigration and diversity. When we moved to Toronto in 2011, we both fell in love with Bloorcourt and made it our home. The commercial diversity of the area was like nothing we had seen before, both in terms of the kinds of businesses and the origins of the people behind them; from our fascination with the neighbourhood, The World in Ten Blocks was born. Not all Canadians live in large, diverse cities like Toronto, and even for those who do, their day-to-day interactions and relationships may not necessarily reflect the diversity that exists statistically. Our vision is to create a Web-based interactive documentary that will provide context to the concept of immigrant entrepreneurship, connecting real faces, voices and stories with a realm of experience that many Canadians are still removed from. The World in Ten Blocks – Interactive will allow users to go behind the counters and into the kitchens of Bloorcourt, and to viscerally experience its diversity from wherever they are in Canada or the world. We are grateful for the support of Ryerson University’s Immigrant, Diversity and Inclusion Project and Transmedia Research Centre, and continue to seek additional funding to complete the project. We are most grateful, of course, to the immigrant entrepreneurs of Bloorcourt who have entrusted us with their stories. Despite being stood up by his potential landlord, Marc Serpa Francoeur felt he was home. He couldn’t view the apartment, but was standing under a sign that read “Ponta Delgada Bar,” a reference to his mother’s hometown in Portugal. Looking around, he saw the street alive with activity and knew he wanted to live in this area. “I had a particular idea of the neighbourhood I wanted to live in. It would be walkable, ethnically diverse and have small commercial strips,” Mr. Serpa Francoeur says. A few weeks later, he moved into an apartment above the sushi restaurant across the street at Bloor and Dovercourt. With that intersection at its heart, Bloorcourt stretches along Bloor Street West between Dufferin Street and Montrose Avenue. A month after Mr. Serpa Francoeur arrived here, his childhood friend, Robinder Uppal, would move into an apartment just a few streets over on Gladstone Avenue. Like Mr. Serpa Francoeur and Mr. Uppal, I was also drawn to Bloorcourt and have lived there for more than seven years. It was on the subway line, had a nice mix of restaurants and, most importantly, had relatively low rent compared to nearby areas such as the Annex and Little Italy. Now, rents are rising, thanks in large part to people like me. The Ethiopian and sushi restaurants are finding themselves side-by-side with upstart cafés, theatres and trendy bars. 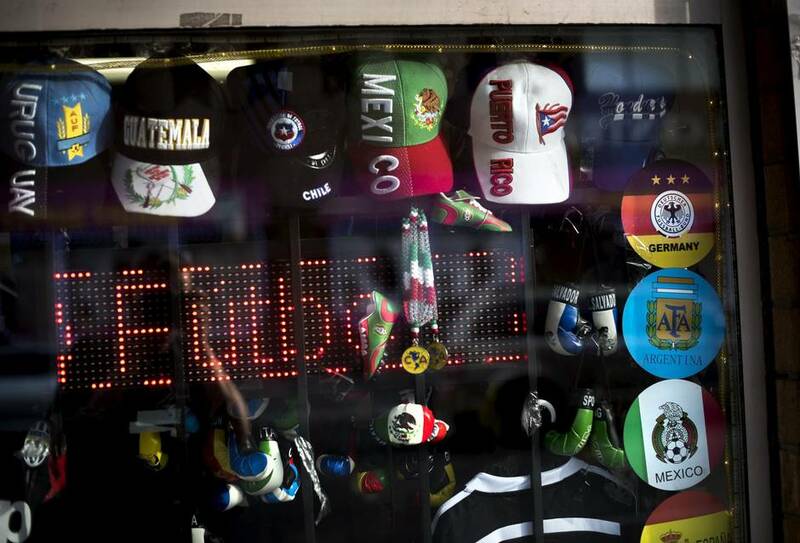 Storefronts with English signs are increasingly replacing ones that were previously Greek, Portuguese or Amharic. 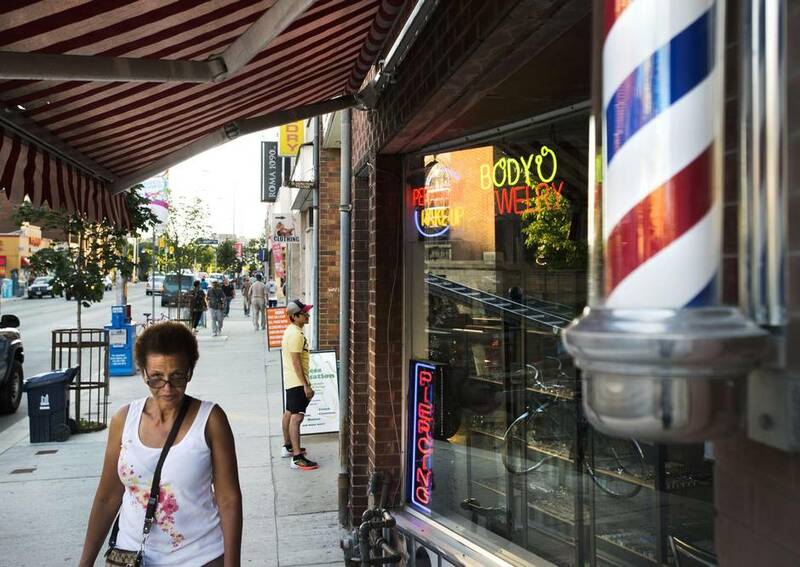 But, unlike other rapidly gentrifying areas in downtown, Bloorcourt locals argue that this neighbourhood is different: It’s changing, but it’s not forgetting the small businesses that are largely responsible for attracting outsiders into the area. 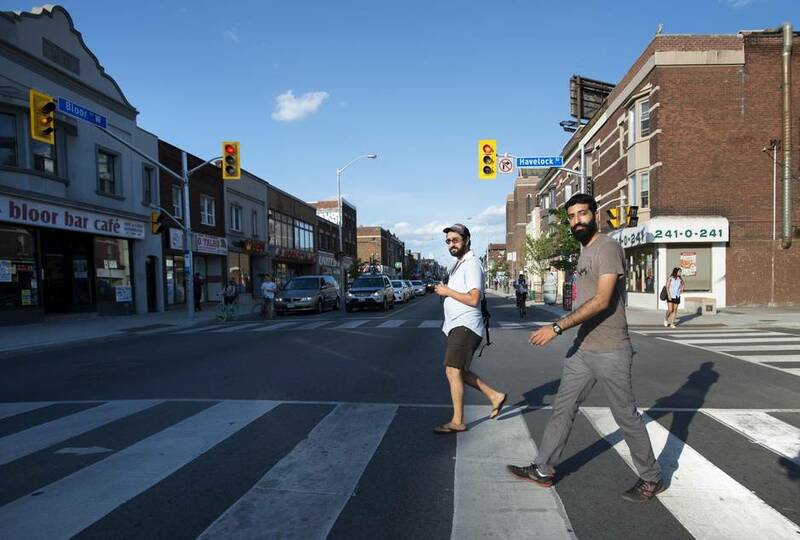 For Mr. Serpa Francoeur and Mr. Uppal, the neighbourhood was also a subject worth documenting. The two Calgary natives came to Toronto to get their MFAs in Documentary Media at Ryerson. 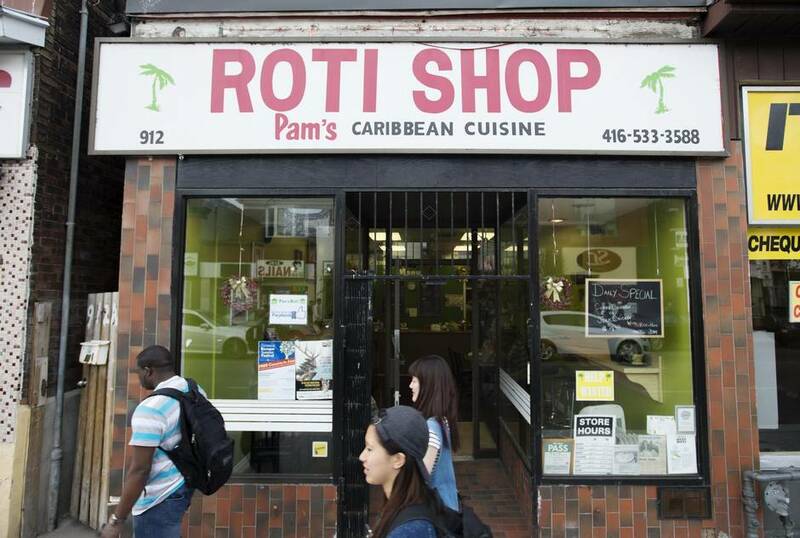 When it came time for them to find a subject for their thesis project and documentary, they turned the camera on the small immigrant-run businesses that line this strip of Bloor. They began with filming Jesus Morales who, in 1988, immigrated to Canada from war-torn Nicaragua. With little English, he worked his way through busy restaurant kitchens for several years and is now the chef and owner of La Bella Managua, his own Nicaraguan restaurant and the only one in Canada. “We realized: His story was so incredible that surely within a 10-block stretch other stories must exist,” says Mr. Serpa Francoeur. As children of immigrants, the duo were attracted to stories like Mr. Morales’s. They sought out more. The result is The World In Ten Blocks, their documentary film that explores the stories of immigrant Canadians who have opened up businesses in Bloorcourt. In the film, which is available to Bell Fibe subscribers on the Bell TV1 video-on-demand channel, they candidly describe their tumultuous beginnings in Toronto. The winters were harsh, or English was difficult to learn, or the distance from loved ones back home was more painful than they anticipated. Despite the trying start, there’s a sense of pride that all of the business owners possess. They’re not just survivors of immigration but leaders within their own ethnic communities. In addition to the film, Mr. Serpa Francoeur and Mr. Uppal, who now collaborate as Lost Time Media, are working to complete the interactive documentary to complement it. When finished later this year, it will take the viewer on a street-level tour of the area through their website and allow them to stop at various shops along the way. It celebrates individual business owners but also shows how each establishment plays a role in the streetscape and its vitality. The idea was, in part, inspired by growing up in Calgary, a city where neighbourhoods like those along Bloor Street West don’t exist. This neighbourhood has progressed at a slower pace. 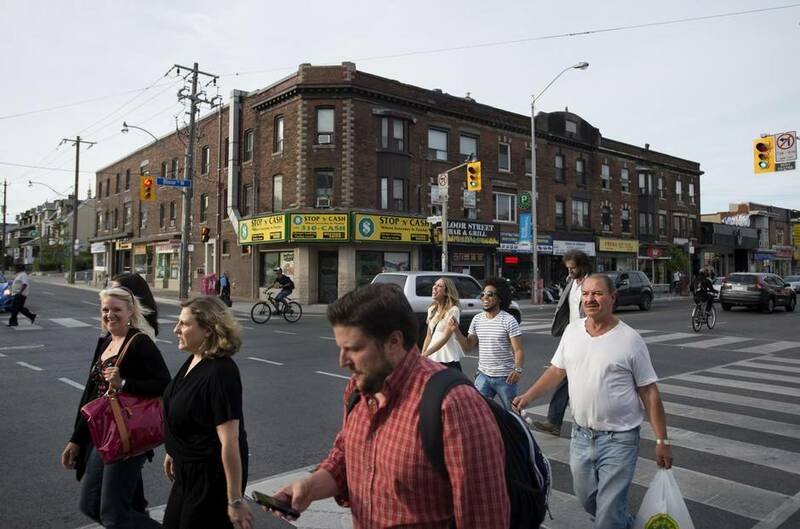 While the neighbourhood to the east, Christie Pits, is also known as Koreatown due to its numerous tofu-soup restaurants and karaoke halls, no one single ethnic community dominates the streetscape in Bloorcourt. There are remnants of a time when the neighbourhood hosted a large Greek population, and aging Portuguese locals still patronize the sports bars, but now hungry students and young families alike come to dine at the Ethiopian restaurants and falafel shops spinning shawarma, too. Ms. Yee, who also manages properties in the area, has noticed a change not just in the price of homes but also in the types of renters. When she first started working in the area, her tenants were predominantly immigrants. There was a time she would help non-English speakers navigate the Canadian immigration applications. Now, she’s renting apartments and commercial spaces to young, mostly Caucasian tenants. Real estate agent and Bloorcourt resident Kate Watson acknowledges the demographic shift, but is hesitant to call it gentrification. In fact, she says that having a mixed population is vital for maintaining the health of local businesses. 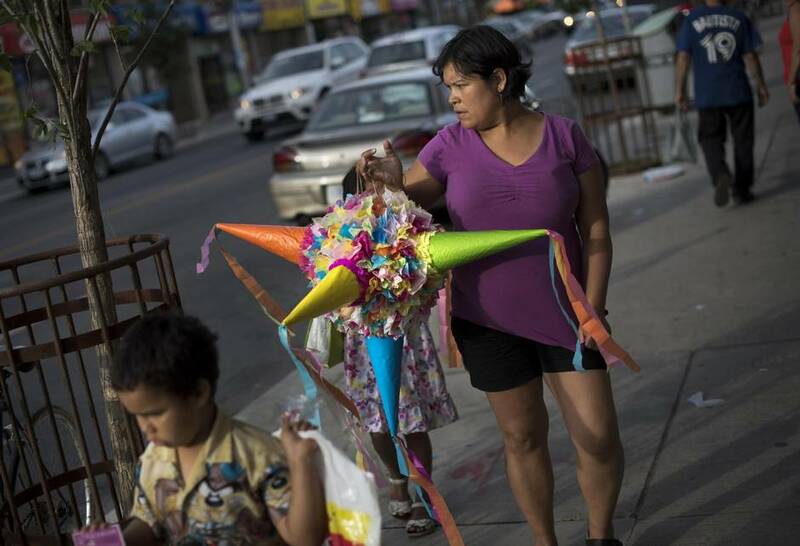 “[Most renters] used to be new immigrant families. Now there are more musicians and artists, but there is still a lot of space for new immigrants in the apartment towers at Dovercourt and Bloor,” she says of the three high-risees that loom over Bloorcourt. Mr. Morales from La Bella Managua is overall positive about the interest in Bloorcourt. 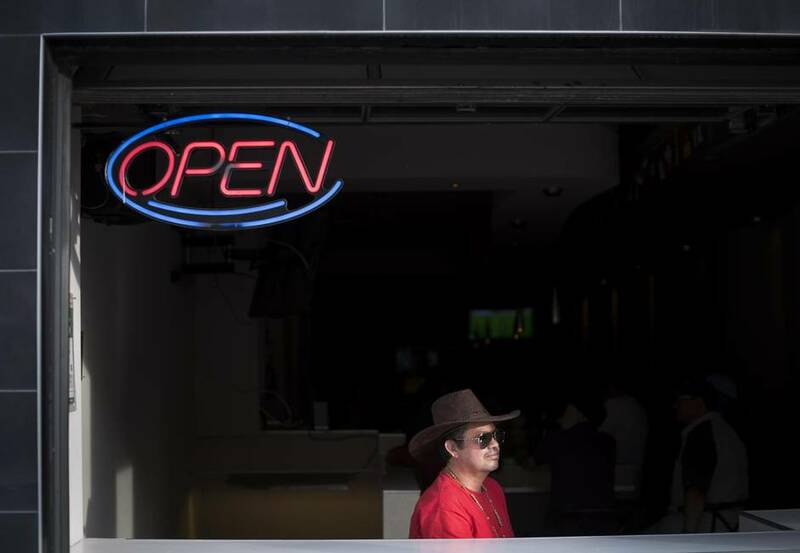 There is increased foot traffic from local residents and more people are arriving from outside the neighbourhood, which makes his restaurant busier than it’s ever been. He sees the addition of a McDonald’s restaurant across the street as a encouraging sign and welcomes the addition of nearby condo developments. All this, as he sees it, will just contribute to more customers. The mix of young entrepreneurs working alongside long-serving, often immigrant-run businesses, has created new energy in the neighbourhood. There is nightlife on the streets, and thanks to local performance spaces and bars, Bloorcourt is becoming a destination neighbourhood. For me, it’s akin to watching my favourite band finally get heavy rotation radio play after years of dive bar shows. While it’s gratifying to see them get recognition, it’s also going to be a lot more expensive to see them perform live. For Mr. Morales, the increase in business volume means an increase in business costs such as renting the space. Although there are guidelines for rental increases on residential units, there is no equivalent control for commercial rental spaces. Ana Bailao, city councillor for Ward 18, which includes the western half of Bloorcourt, says the city recognizes there are instances in which long-time business owners may get pushed out if they don’t own the space they occupy. In the two years since the Mr. Serpa Francoeur and Mr. Uppal started filming, most of the business owners they’ve profiled have continued to thrive. Another subject of the documentary is Winston (Wire) Clarke, who first opened his variety and grocery store in 1980 on Dovercourt. At the time, chain stores like Wal-Mart were not a concern, but when they opened and began selling yams and okra like he did, it had a devastating impact on his business. In 2013, after 33 years of business, Wire’s Variety closed its doors. The filmmakers are aware that they contribute to potential gentrification of their beloved neighbourhood. Turning the lens and highlighting Bloorcourt’s vibrant community celebrates it, but it also draws attention to it. Recognizing the value of shopkeepers along Bloor, the Bloorcourt BIA, along with local partners and councillors Ms. Bailao and Mike Layton, launched the Rosina Project, a series of plaques honouring businesses with 25 or more years in the neighbourhood. “This all started because Rosina Peluso was the matriarch of the Mediterranean Food Store. You could be having the most miserable day and she would welcome you with a ‘Hello, sweetie’ and your mood would change,” says Marcie Ponte, executive director of the Working Women Community Centre and one of the main organizers of the Rosina Project. After Ms. Peluso’s death, Ms. Ponte, the BIA and local organizers wanted to honour her memory to highlight her contribution to the community. Ms. Yee also hopes that younger businesses will be inspired to plant roots here and stay for the long haul. Since completing their MFA program, Mr. Serpa Francoeur and Mr. Uppal are spending much less time in Bloorcourt. Mr. Uppal now lives in the United States with his wife, while Mr. Serpa Francoeur has been travelling for work and personal reasons. Despite the rapid changes in the neighbourhood, the pair have not lost any love for Bloorcourt. 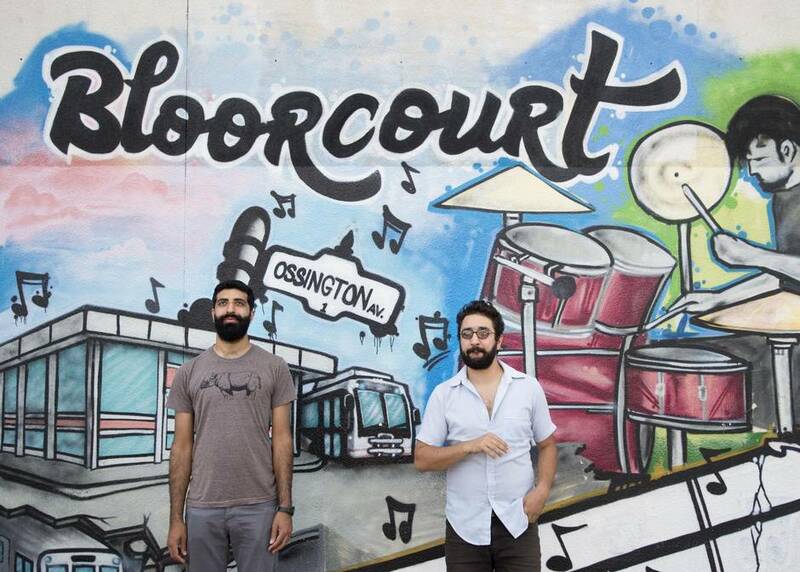 “Bloorcourt is still very much the heart and soul of the city for us. It has a vibrancy and intimacy that we haven’t found elsewhere, and the diversity of its small-business owners and residents is truly something special,” says Mr. Serpa Francoeur. He adds that when he is in Toronto, he has no desire to live elsewhere in the city.